What a way to end the week! We went on our second field trip today (yes, since we spent so much time preparing for tests, we're really packing in the field trips now), and much like Wednesday's, it was a lot of fun. Today we went to a place called Camp Wisdom. This is basically a large campground with lots of activity areas. There is a replica of a Civil War fort, a small castle with a maze in the back, a couple of pirate ships, and a big scary cave. Even though the sky was overcast the entire day, it didn't start to rain until about 1:30, so the only activity my group missed out on was the castle. We started out at the fort, and as usual, the first thing the kids found was the jail cell. (Premonitions of the future, anyone?) The fort was a fun way to open the day, but the REAL fun didn't start until we got to the pirate ships. These are two huge wooden ships, complete with rope ladders, tall masts, and steering wheels that spin. Two buckets full of colored tennis balls have been left for us, and these became cannon balls, thrown back and forth between the two ships. I of course had to get in on some of that action, so I climbed up onto one ship and joined in the hurling. At one point, I convinced the kids on my ship to stop throwing the tennis balls, and to just let the kids on the other ship use up all of their ammunition. Then, when we had ALL of the balls, I counted to three, and we all let loose at once. It was pretty awesome. It was just like the assault on Helm's Deep at the end of The Lord of the Rings: The Two Towers, when the elves let loose their volleys of flaming arrows into the myriad ranks of orcs below. Except less violent and lethal. And instead of elves and orcs, it was two small troops of Oompa-Loompas. After the pirate ships, we took a journey to the cave. This is just a big hole in the ground, but it's completely dark, and you have to take flashlights in with you to navigate. Also, there's a good chance that there's a teacher lurking around inside, waiting to jump out and scare the crap out of unruly third-graders. I found that particularly enjoyable. As we were leaving the cave area, it started to rain harder. It had been sprinkling for awhile, but just as we were reentering the main activity center, it really started to come down hard. About five minutes later, the other third-grade groups came in, completely drenched. We went on our first field trip today! Destination -- The Science Place! This is a really cool center with lots of hands-on activities, visual aids, and graphic displays. Though it's not Chuck E. Cheese's, it IS a place "where a kid can be a kid." After the bell rang this morning, we didn't stay long at the school. Mrs. Educator and I took the attendance, collected homework from last night, took care of the kids' water imbalances (move some out, move some in), and sent the SIX students from our classes who were staying behind to various classrooms around the school. The third grade filled up three school buses for the journey to The Science Place. Actually, the REST of the third-grade packed into the first two buses, while Mrs. Educator and I rode in comfort and luxury with our classes in the third bus. Or, as close as one can possibly get to comfort and luxury inside a loud, stinky, graffitied school vehicle. The Science Place is located southeast of Dallas in Fair Park, right next door to where the Texas State Fair is held annually. There is an enormous Ferris wheel in Fair Park, and when that wheel came into sight, I heard several kids gasp, "Oooh!! Six Flags!!" These are no doubt the same kids who shout, "Oooh!! Disney World!!" every time they see a duck. Once we got there, we really had a lot of fun. There were simple machines to try out, sound and light experiments to play with, restrooms to use -- it was like Christmas in April. Over in the Health and the Human Body area, there was a full-sized ambulance, with a "trauma patient" in the back. By the time I wandered over to that area, there were about 10 kids packed into every available space around the gurney, and they were all trying to get their hands on the heart-stimulator paddles. Clearly, some of these kids have been watching ER or something. Because they understand that before you can use these paddles, you have to yell, "CLEAR!" But what they DON'T seem to comprehend is the true function of those paddles. In their minds, the object is to strike the patient's chest as violently as possible with the paddles. How this could possibly aid the recovery of a human being, I don't understand. But then, I've never really understood the mass appeal of Hot Cheetos, either. Lunch was nice and serene, out on the side lawn. But after everyone had eaten, we found that we had a problem. When we had picked up our lunches from the cafeteria this morning, we also took three coolers full of milk and juice cartons. The cafeteria ladies warned us not to bring back any of the milk or juice. Well, when lunch was over, one cooler was still filled to the brim, and the other two were more than half full. A-ha, I thought to myself, I have a mission. When I asked my kids who wanted another milk or juice, I only got about eight takers. That wasn't even enough to put a dent in the amount of liquid we had left over. So then I started telling all of the kids that they would really be helping me out by drinking another milk or juice. Surprisingly, this actually got a lot of response. Pretty soon, we were down to one cooler, but it was still nearly full, and the kids seemed to be starting to get a bit lactose intolerant -- or at least tired of milk. When I discovered that there was a lot more CHOCOLATE milk hidden under a couple of layers of white milk, the kids got motivated again. I can't believe I have so many milksists at my school! Anyway, I was soon standing over a cooler with about ten cartons of regular white milk in it. Nobody seemed to want to drink it. But then I got an idea. I reached down into the cooler and pulled out the object I had spied. I held it up over my head and shouted, "Who wants an ice cube?" Almost every hand shot up, and I was assaulted with cries of, "ME! ME! MEEEE!" So I replied with, "Whoever drinks a carton of milk gets a free ice cube!" Now WHY can't I motivate my kids like that when the subject is math?!? Over the weekend, I gave an extra credit science homework assignment. Since everyone was in dire need of a break from mathematics after the big test last week, we focused on science on Wednesday and Thursday. The topic at hand was natural resources-the different types, where they come from, ways to conserve them, etc. So for the homework, I asked them to take a piece of paper (no, I did not ask them to recycle it firsthand) and either write a little blurb about resources or to draw a poster about the importance of conservation. -- One of my girls,Y, wrote the following: "Mister Teacher told us that the water in the toilet is clean water when you flush the toilet it goes to a machine and it cleans the water so you can drink it." Great! I can just see my kids going home and telling their parents that I told them it's OK to drink from the toilet! Conserve that water, kids! Drink from the toilet! -- A boy in my class wrote about saving electricity. "Saving electricity is when you turn off everything that takes electricity and if you don't and go to church for five hours. The next day, you will get electric bill and you have to pay money. If you do turn off the lights and TV, you will not have to pay money." Don't I wish! -- This one takes the cake for the most bizarre entry. When I was picking up the homeworks, I was happy to finally have one that had some color on it -- this little girl had used some crayons to add to her picture. But the caption she had written just made no sense to me. "Here go some trees that are falling and on fire. Trees break down." I have a vision of Smokey the Bear warning everyone, "Only YOU can prevent conserving resources..."
-- V, one of my smarter girls, drew a very nice picture that looked a lot like the picture in our science text depicting the steps that aluminum cans go through to be recycled. As far as I know, she only had her memory of reading the page to go by, but the picture was very accurate, and very impressive. The written part of the procedure though was a bit off-base. "1) People recycle so they can have more stuff they recycled. People chop them up to get smaller pieces. 2) It goes through a machine and melts all the paint. 3) Then it goes through another machine so it could melt the pieces of cans. 4) The melted stuff goes in a big cup and turns into solid. 5) Finally the solid turns into soft plastic. The plastic turns into a can again." I got a smile out of reading some of these submissions. I'll have to be sure to give a similar assignment once we start studying the solar system -- it'll be fun to see what I get back on THAT topic! Alrighty then! Now that we are officially done with both the math and reading portions of the Texas Assessment of Knowledge and Skills, we can finally move on to... the Iowa Test of Basic Skills?!? What the --?! Yes, the consensus seems to be that no one is happy unless these kids are taking some sort of test. TAKS test, ITBS, benchmark tests, urine tests... When will the madness stop??? Apparently, the madness will stop on approximately May 24 (the last day of the school year). Until then, we follow the No Child Left Behind or Untested Ad Nausea policy. So we have one week to get the kids ready for the ITBS. Of course, that's not counting Wednesday or Friday, when we'll be off-campus on field trips. And it might not even be next Monday, May 1, because according to rumor, there will be absolutely no Hispanic kids in school that day. Uno de Mayo might just be a very quiet day at the school. In addition to having very little time to prepare, we have to throw the kids brains into total reverse gear to prepare for this new test. On the TAKS test, the kids are able to write in their test booklets, they bubble their answers in on their test booklets, and they have as much time as they need to finish the test -- we give them all day. So we have spent all year long training them to take their time, show their work, and go back and check all of their answers carefully. Conversely, the ITBS is a timed test, so if the kids DO take their time and show all of their work, they will not finish the test. In addition, the kids are not allowed to write in their test booklets, so they must use a separate piece of scratch paper in order to do any sort of computations. Oh, and after they've read the problem off of one page, and done the math on a separate page, they have to fill in a bubble on yet a THIRD piece of paper! Good luck kids, wake me when it's over. I am so incredibly thankful that this week is finally over! In truly outrageous celebratory fashion, I went uh after school today, had a few drinks at a Happy Hour with some fellow teachers, and then came home and mowed the lawn. Now THAT is how we party, my friends. Today was a relatively stress-free day, which was great, because the other four days of this week more than made up for the Recommended Daily Stress Allowance (RDSA). Mrs. Educator and I held a pizza party for our kids that really tried their best on the math tests this Tuesday. There was really only one kid that we felt did NOT deserve to be at that party, and that was Q, who fell asleep twice during the test, kept rattling his desk around and dropping his pencil when he WAS awake, and just generally was a P.I.T.A. (Pain In The -- well, you get it). In addition to the pizza, we wound up watching two movies. Normally, approval must be garnered in order to watch a movie, but I felt the educational value of the films justified their viewing. First, we watched A Bug's Life, which emphasized knowledge strata that the kids had built earlier in the year when we studied plants and animals. I like to think of it as reinforcing the scaffolding. Next, we put up Toy Story, which... um... demonstrated, uh, uses for plastic, which is made using oil, which is a very valuable and nonrenewable resource that we read about this week from our science books. Yeah, that's the ticket! I thought I'd post another excerpt from my book, Learn Me Good. This chapter is fitting, because it really parallels the events of today. Enjoy! You may not have proxied any day-long exams, but it sounds like you had a few hellish days there yourself! Let me see if I have this straight. Your supplier didn’t meet spec on the plate stock you got, and now he’s giving you the run-around on replacing it quickly. I think I can probably guess who you’re dealing with here. Unfortunately, it doesn’t make it any easier to have to inform YOUR customer that his shipment is going to be late as a result. Sorry, man, that stinks. Sometimes dealing with those guys is like eating two-week-old moldy bread from a failed science experiment – it leaves a bad taste in your mouth. Hopefully I can cheer you up. Today was a fun day for us, and a good way to wrap up a long week. Since the kids took the TAKS reading test on Wednesday, and then we hit them with a math practice test yesterday, today was a reward day. Mrs. Swanson and I switched classes earlier than usual and had shortened classes, so that we had time between lunch and P.E. to have pizza and watch a movie. Everybody came into my room and sat on the floor, and we watched The Lion, the Witch, and the Wardrobe. Kelly has been reading that book with the kids, so she wanted to see how the cartoon compared. Midway through the movie, a little red fawn named Mr. Tumnus shows up and befriends one of the children. At this point, Jorge leaned over to Sofia, and I heard him say, “That’s the wardrobe!” Yes, Jorge, and that innocuous looking lamppost is actually the lion! We had told the kids all week long that we would have this reward day for everybody who made their best effort on the reading test and the math practice test. We told them that anyone who fooled around, bubbled answers without reading the questions, or just generally did not try would not participate in our pizza party. So of course, we had three kids who got to sit in my entranceway and make corrections on their practice test during our reward time. I’ll let you guess who those three were. When we got back to the room, I told him that he could either miss out on the party or he could choose not to receive any blue tickets at all for the next week. Initially, he chose to miss the party. Later, after a tearful inner struggle, he changed his mind and opted for the no prize basket option. Now the reading test is down, but the math test looms. The one that falls squarely on my shoulders. Thirty more school days to go – but who’s counting? Oh, and were you serious about Paul’s questions? He asked if I was happy at the school, if I was under contract here, and if I wanted to come back to HPU? Um, gee, let me think. Yes, yes, and no. In that order. I may gripe about certain kids, but overall I find myself going home each day with a much greater sense of fulfillment than I ever did in cubicle land. Plus, it’s just easier to deal with kids being idiots every so often than adults being idiots, like your supplier. Good luck with your materials nightmare. Keep me posted. That Texas-sized sigh you may have heard yesterday probably came from all of the third graders who are done TAKS testing for the year. 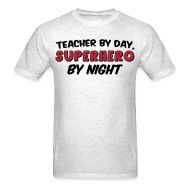 Or, more likely, it came from all of the third-grade TEACHERS who are done stressing over the TAKS tests for the year. Sure, we don't know how the kids did or what their grades are, but what's done is done -- no use stressing over the results now. Yesterday, as seems to be the case annually, was the longest day of the school year. I don't know if Joshua was blowing his trumpet to keep the sun in place in the sky (bonus points if you caught that reference), or if it just seemed like time had stopped, but whatever the reason, the day felt like it would never end. I'm not allowed to discuss the test, or any of the questions contained within, but that won't stop me from ranting about the testing procedure itself. First of all, it is mandated that just about everything in the school that contains print or numbers must be covered up. This means that I had to spend about an hour on Monday stapling butcher paper to my walls to cover up bulletin boards, my word wall, the number line, and just about everything else that was too big or too high to take down. You know, I can understand the need to take down or cover up posters, signs, and boards that contain mathematically-related items, but some of this is just downright silly! I have an alphabet strip running the length of the wall above my Whiteboard, and I had to cover up the letters! I'm so sure that a student is going to be immersed in the TAKS Test, look up at those letters, and in a flash of insight, suddenly comprehend the answer to the question he was stuck on for 20 minutes. "Thank you, Cursive P! You saved my bacon once again!" On TAKS day, the kids do absolutely nothing BUT take the test. There is no PE, no recess, no lunch break in the cafeteria. The kids do eat lunch, but they have to get their food and bring it back to the classroom. Actually, it may have been a blessing that we had no recess yesterday. The temperature was over 100°, up there in the range where M&Ms melt in your hand, not in your mouth. Tomorrow, the schedule will be back to normal. Also, the district has finally allowed for the hot temperatures, and initiated the Summer Dress Code. No more neckties! Tank tops and Daisy Duke shorts from here until June, baby! Well, maybe I'll just save those for the casual Fridays. Tabz, who runs the Blinking Cursor, has asked me to help out a worthy cause. Please check out her posting here, and let's all at least be aware of the problem. T-minus 1. Or is that T-TIMES 1?!? Well, today was the last review day before the dreaded TAKS Math Test. Really and truly, if the kids don't know it by now, they're just plain not going to know it tomorrow. As one of my old college engineering professors used to say, "Time to let go of your hand and see if you walk out in front of a truck." Ironically, this same professor was himself severely injured when a truck fell on top of him during a Force and Load demonstration gone horribly wrong. As the saying goes, I had always heard that those two things were constant in life. 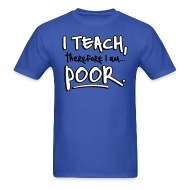 I never really realized precisely what that meant until I started teaching in the Dallas public school system. Now I can see exactly how they go hand in hand. I am stressing out about this test next Tuesday, and you know how I can tell? Because my left eyeball is twitching more than a frog's legs under an applied electric current. Eyeballs are pretty much not supposed to do that. And it's not very pleasant, either. Today in tutoring, I asked one of my girls,W, how many minutes were in one hour. She stared at me with a blank expression. So I asked her to turn her attention to the clock hanging on the wall, and count by fives on all of the numbers all the way around the clock. She counted 5, 10, 15, etc. all the way up to 60. Then I asked her again, how many minutes are in one hour. She thought about it for a few seconds, and then replied, "One?" Now, not only is my eyeball in danger, but my forehead has a huge red welt from me pounding it against the wall. -- One time this year, when I was at an in-school training session, I stopped by my room to pick up some papers, and noticed that the sub had a space heater running behind my desk. It was not a particularly cold day, and there is not particularly a lot of space behind my desk to heat. The next day, I also discovered that she had consumed all of the cough drops that I had in my desk. This did not earn her any points with me, as I was going through a nasty cold at the time. -- Last year, I came back from a day off only to have all of the kids clamoring around me, asking me if my brother was going to come back anytime soon. Apparently, they all thought that this sub looked exactly like me. None of the teachers shared this opinion, but the kids were convinced. Of course, they also seem convinced that I am married to one of the other third-grade teachers, even though she has a picture of her husband on display on her desk. -- Last year, one of my kids actually stole some money from one of the substitutes. This lady was somewhat up there in terms of years, and she didn't make the best decision by leaving her purse, wide open, laying on a desk near the door. G, my little thief, decided to grab a wad of bills that he had been eyeballing. I actually got called out of my training session to go and interrogate him, to find out the whereabouts of the purloined cash. I was pretty pleased with my skills as a "Closer" that day, as I finally managed to break him and get a confession. Turns out, "grab the money and run" was pretty much the entirety of his plan. He hadn't thought anything out beyond that point. During the course of his running, he realized that he had no idea what he wanted to do next, so he just ran into the nearest bathroom, and threw the money down behind one of the toilets. What he didn't realize, and what made things much more serious, was that hidden in there amongst the one dollar bills that he had snatched, was a Benjamin. And it's all about the Benjamins, baby. The substitute had a $100 bill in her wad of cash. To make a long story short(er), we finally recovered the money, it was returned to its rightful (if careless) owner, and G enjoyed a term at the local alternative school. If you've got any funny substitute stories, now is the time to share them! Leave a comment -- the best one will win my undying admiration! Okay, we've finally broken out the big guns. Despite being in school for nearly, what -- eight months now? -- these kids are still acting like second graders on crack. And I use that metaphor because the school counselor has even been to all of the classrooms to read them the very entertaining bedtime story, The House That Crack Built. What's that? You didn't read that as a child? Well, neither did I, but just FYI it's out there. Anyway, it seems like Mrs. Educator and I (not to mention the other third-grade teachers) have tried just about every course of action that we can think of to keep these kids' behaviors in line. When they don't do their homework, they get a zero and they lose their recess -- most of them don't seem to care. When they get into a fight, they get suspended -- most of them don't seem to care. And the other kids, who have just witnessed these kids being suspended, don't even stop to think that maybe THEY shouldn't get into a fight. BRILLIANT!! After the big math test next week, our third-grade has no less than three, count 'em, THREE field trips planned. We finally decided that the time was right to start holding them over our kids' heads, and see if we've hit upon something that they actually do care about. So far, we seem to have enjoyed pretty good success. We set a rule that not doing a homework counts as a strike against them, and with three strikes they lose the right to go to the Science Place (our first field trip). I've given two homeworks since then, and I've only had to dole out three strikes -- thankfully, not all to the same child. Of course, now the trick will be not to get to the day of the first field trip and find that the group consists of seven teachers and four students. The day has finally arrived! 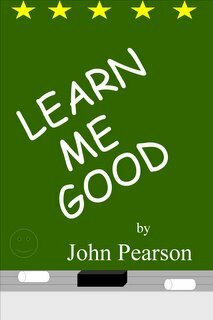 Learn Me Good the book is now available!! If you like the blog, you'll love the book! Learn Me Good is the mostly true story of a design engineer-turned third-grade math teacher, and his experiences during his first year of teaching in a public school. This is truly my story. Nearly everything in this book actually happened to me at one time or another. I had a blast putting it all together, and I think that you'll have a blast reading it -- especially all you teachers out there, who can totally relate to these sorts of situations! This book is not available in bookstores, so I can really use all of the word of mouth publicity I can get. If you like the book, and I really think you will, please tell all of your friends and colleagues about it. It's a grass roots effort, folks, but it's gotta start somewhere! In order to (hopefully) whet your appetite to read more, I have posted below the opening chapter (e-mail) of the novel. children, and all of them have different mothers. I know what you’re thinking – FORTY KIDS???!?? How do you have room for them all? And do you get paid on a per-child basis? Well, no. Let me explain the system to you. I teach two classes. Here in the Dallas Independent School District (motto: We hire our teachers in mid-August! ), we partner teach. I teach math and science, while my partner teaches reading and social studies. So no, since I don’t teach language arts, we will not be reading The Hitchhiker’s Guide to the Galaxy or The Shining in class. It’s a shame, but sacrifices have to be made. However, mathematics-inspired books such as Agatha Christie’s Ten Little Indians (with its valuable, real-world lessons on subtraction) are fair game. Back to the system. I have a homeroom with eighteen kids. Each day, I will do my best to mold them into respectable citizens, learned scholars, and all-around math nerds from the time the bell rings until approximately 10:30. At that time, my partner and I will exchange classes, and I will repeat the morning’s work with her class. She, in turn, will spend the day instructing both classes on the ways of the written word. My partner’s homeroom has seventeen kids in it right now. Eighteen and seventeen don’t quite add up to forty, I know, but I’ve used a little trick we in the third grade like to call “estimation.” It’s akin to what Larry does on his timecard. Work for thirty-five minutes, log an hour. Be sure to tell him hi for me. I’m lucky to have a really cool partner. Her name is Kelly Swanson, and though she’s taught before, this is her first year in the third grade. She taught second grade previously, and from what I hear, she’s a great teacher. Her husband, Frank, had been in her third grade position last year, but this year he’s teaching first grade. They both seem like my kind of people. At least neither has any readily apparent ear fungus or reptilian traits, which, as you know, can be so distracting when meeting someone for the first time. There are seven third-grade classes here; it’s a rather large school. As such, my section of the grade is 3E and Kelly’s (my other class) is 3F. I am the only man on the team. No, before you ask, they’re all spoken for. It’s a pretty good team, I think. Because of the odd number, there is one self-contained class (no partner), but the rest of us are paired up. This means there is a math subset of the team, which is really quite a blessing because we can plan our lessons together. 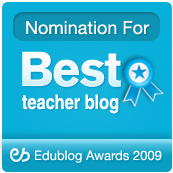 I’ll be working with Mrs. Bird and Mrs. Fitzgerald, who have both been teaching for a number of years. It’s always good to have someone with experience showing you the way, right? Wait, wasn’t Tom Winter your mentor when you started? Oops. Sorry. Ok, now that I’ve given you enough generic information, let’s get to a few things that happened on my first day. After a restless night, I arrived at the school at 6:45. This will NOT be a daily recurrence. Even though DISD’s “summer dress code” allows for golf shirts, I opted to dress very professionally and wear a long-sleeve shirt and tie. I figured I ought to make a good impression on the first day. So no hockey mask or red tights. When the bell rang, I was standing at attention at my doorway. The third grade classrooms are in portable buildings out behind the school, and I guess it took a while for the kids to find their way back there, as GPS navigation systems were not included on this year’s list of school supplies. After a while, the kids started filtering in slowly, most of them being accompanied by at least one parent. One boy’s father approached me with a twenty-dollar bill in hand, and for a second there, I thought I was going to receive my first bribe. “I know they’re just coloring today, but an A would be appreciated,” as he surreptitiously palms the money to me. But of course it wasn’t a pay-off, it was for a set of school supplies, so I directed him to the office. I think that Alex’s father was happy that his son would have a male teacher. Several other parents made comments about that yesterday as well, along the lines of “My child has never had a man teacher before.” In most cases, I couldn’t really tell if they thought that was a good thing or a bad thing. I mean, I’m sure their child has also never had a three-headed Martian teacher with no ears. The other teachers and I had put together little packets for the kids to work on while we spoke with the parents. These were really “profile” pages – name, age, favorite TV show, that sort of thing. There were also a few pages of very basic addition and subtraction problems, and then some coloring pages. One of these coloring sheets had detailed instructions on how to color it. “Color the flowers near the house blue.” “Color the roof black.” And so on. As I walked around the room, I saw several batches of red flowers near green-roofed houses. As their new teacher, I wanted to make an impression on the kids, so after the parents left, I felt I should give a short motivational speech. Something to tell them how much I love math and science and how I want them to feel the love as well. A speech that would open the floodgates of their desire to be the best mathematicians and scientists they could possibly be. I combined the most rousing catch-lines from movies such as Mr. Holland’s Opus, Stand and Deliver, and Animal House. I even ended with a hearty “Hi-yo, Silver!” Some might have read the look in their eyes as dazed, confused, even frightened, but I know I touched some souls. Well hey, today was a full day on hardly any sleep, and I am exhausted! I will write more soon and tell you about more of the kids. I teach, therefore I am. . . poor. Has anyone else out there watched this new show on NBC called Teachers? I've checked out the first two episodes, mainly out of curiosity to see how well the profession is portrayed, but also because the girls on it are pretty cute. But I gotta say... not that funny, buddy. Maybe it's just that I'm a third-grade teacher, and the television show is set in a high school, or perhaps it's just the total black hole that the script seems to come from. It makes me wonder about how other professions feel when there are TV shows about them. Do medical interns find the show Scrubs as funny as I do? (Because it is freaking hilarious.) What do firefighters think about Rescue Me? Are forensics pathologists satisfied with their television representation on CSI? And do good-looking crash survivors on strange, mysterious, deserted islands find Lost to be an accurate account? Myself, as a teacher, I find my life to be truly more like Jack Bauer's on 24. Especially in the minutes leading up to three o'clock everyday, when I can hear the beeping of that imaginary big-screen clock counting down. Let's hear some opinions there, folks! I think that one of my kids proved once and for all today that he truly is a space cadet. I've wondered about his mental state for a while, but this seems to clinch things. This morning we were grading the homework from last night. After realizing that Q had not been paying attention to what I had said about half an hour previously (big shocker there), I got on his case. I asked him, "Where WERE you when we talked about this earlier??" Now I just have to wonder... is that anywhere near Uranus? I love the smell of NyQuil in the morning! The year of 2006 of our Lord in the New World had been going so well, too. I hadn't caught a cold, strep throat, pinkeye, dysentery, bird flu, Ebola, spotted mountain fever, or SARS since Christmas. But over the weekend, my throat felt swollen, my nose got stuffed up, and for a while there, I even had a fever of about 100 degrees. My reliable buddy, Tylenol, got rid of the fever for me, but I still have a nasty cough, a sore throat, and sinuses that feel like they've been inhabited by Slimer from Ghostbusters. I probably caught this from that kid that threw up in my class last Friday. I KNEW I shouldn't have tasted it to see what he had eaten for breakfast! I was filling up my car at the gas station the other day, using my credit card out at the pumps. The automated machine asked if I wanted a receipt, and my choices were the Yes button and the No button. It seems to me that some of these automated machines need to have more selections when it comes to answering their questions. For instance, when the pump asked if I wanted a receipt, I immediately looked for the button marked, "Well, duhhhhh!!" On the other hand, when the machine asks if you want a car wash, I think there should be a button clearly marked with, "Aw, HELLS no!!" Not only would our answers be more accurate this way, but it would make using these machines a heck of a lot more fun also.